It sounds dramatic. However, time and time again, we work with clients to help them create a home that works better for their family. When we install custom roll outs their lives are a bit easier, a bit better. 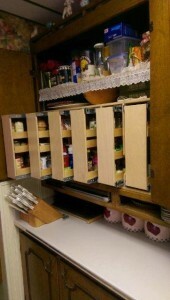 We can create roll outs that maximize your existing kitchen space. We can create roll outs that make a cramped bathroom function better. 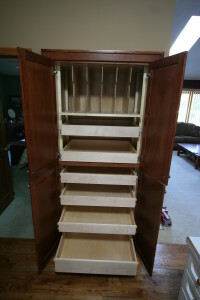 We can create roll outs to organize a hobby so you can enjoy your free time. We can create roll outs that make closets and mudrooms that serve your family. Our roll outs are custom built to your space and your needs. We have built roll outs for just about everything! Is there an area of your home that doesn’t work as well as you’d like it to? Is there a space that is in serious need of organization? Is there a routine that stresses you out? If you answered yes, please know that we can help you change that. We make roll outs for real life. The process is simple. We come out to measure your space, build the custom roll outs, and then return to install them. It is a quick and painless way to improve your home and transform you life.